Welcome to our current guide to the finest deals on laptops for 2017 and 2018 based on critic reviews, consumer feedback and hardware power. Here at LaptopNinja we have conveniently rounded up all the best laptop deals of 2017 and 2018 into one place just for you. Here we will be breaking it down into categories to suite every budget and even the most demanding of users based on price, performance, reviews, specs and aesthetics. If you are looking for a great deal this spring or just in the market for an upgrade, we’re sure you will find what you are looking for right here with best laptop deals on the market. 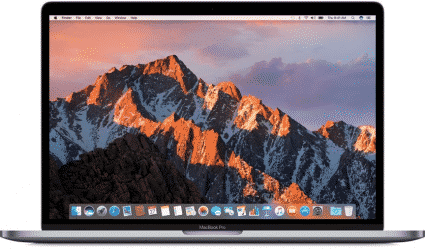 These top rated laptops encompass the best the internet has to offer from the best laptops of 2017 and 2018, all hand picked and scored based on thousands of reviews and laptop options across the web. If you already know what your budget is feel free to head over to our laptops under $200, laptops under $300, laptops under $500, laptops under $1000, or our high-end laptops guides for further reading. Gamers will want to see our gaming laptops under $500 guide, our gaming laptops under $1000 guide, and our high-end VR-Ready laptop guides. If you are heading to school then our guide to the best laptops for college will be a great fit, or, if you are using your laptop primary for work, our best business laptops guide. For the top 10 laptops in each category be sure to head over to each individual guide for further reading. Whether it be at home or in the office an all-purpose laptop needs to keep up with the demanding tasks and day-to-day computing needs of even the most discerning users. A good all-purpose machine should run applications like Adobe Photoshop, Microsoft Office, Skype and most other demanding software with ease while offering some casual gaming support however this is not always a necessity. The best laptop deals on all-purpose laptop should also be priced competitively to allow the best hardware performance for your money. The Chromebook Flip C302CA-DHM4 touchscreen 2-in-1 chromebook has remained at the top of our $500 top picks list for a while, and it is not hard to see why. 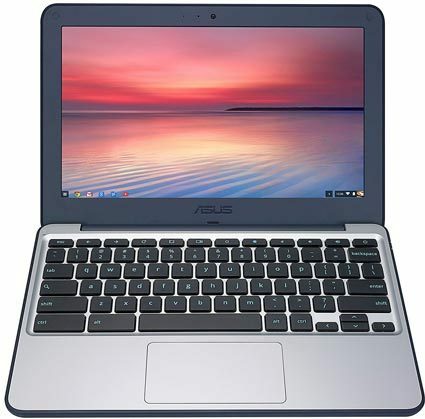 It is an extremely versatile chromebook that is lightweight and ultraportable, and the design is robust and sturdy. It easily switches between a laptop and a tablet, and it comes packed with a decent amount of power to drive a commendable overall experience thanks to its solid state memory and Intel Core M3 processor. The included 4GB of RAM should be more than enough for most, although I wouldn’t go crazy with how many apps you have open when multitasking, as there will be a noticeable slow down. With the fast and reasonably plentiful 64GB of solid state memory, you will have room for a lot of files, but if you find that you are running out space, inserting a 256GB microSD card will afford you plenty of extra space. Chrome OS does take heavy advantage of cloud based storage solutions,, so file storage should not be that much of an issue. The included screen has a resolution of 1920×1080, and it is said to be responsive to the touch. The battery drains around the 10 hour mark, but this may vary on your usage. 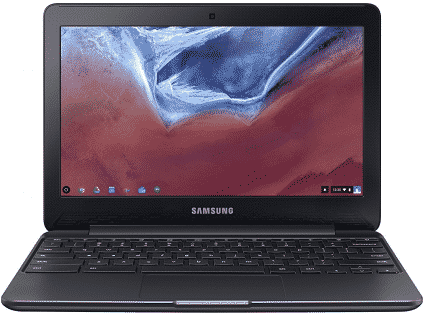 The Chromebook Flip C302CA-DHM4 is lightweight, highly portable, and coupled with its robust design, you get a laptop suited to students or businessman who constantly travel. 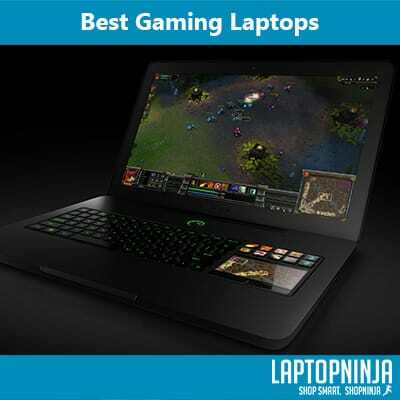 Gaming laptops are the ultimate display of raw power and good looks. A good gaming laptop should at very least have a sharp responsive display, immersive sound, stylish design, a powerful processor, ample RAM and most importantly a graphics card that can handle games. Of course things like budget and practicality often mean some sacrifices need to be made hence our article dividing up the best gaming laptops of 2016 and 2017 by price and performance. We have selected the cream of the crop in all price points so that anyone looking to get into gaming can jump right in. While HP’s dedicated Omen gaming laptop range starts from just shy of a thousand dollars, the HP 15-BA009DX is a budget friendly alternative for those casual gamers who love their classic titles. Breaking the mould from the usual Intel Celeron or Pentium processors, the HP 15-BA009DX features an AMD Dual-Core A6-9220 processor which offers slightly higher benchmark scores than the current entry-level Intel processors. This also means that instead of an Intel HD Graphics based GPU, you will get an AMD Radeon R4 GPU based on the Beema architecture. While this will not win any awards, it will allow you to play classic titles such as Warcraft III, Age of Empires II and Command & Conquer Generals. You will also be able to play Counter Strike and World of Warcraft, which are both still widely played across the globe. If you are looking to play AAA gaming titles such as Battlefield 1 or Call of Duty: Infinity Warfare, then we recommend looking at a laptop with a dedicated NVIDIA graphics card as this laptop does not meet the required minimum specifications. While the 4GB of RAM will be sufficient for everyday tasks, it will struggle with more RAM hungry applications such as Google Chrome. Some gaming titles will also struggle with the limited amount of RAM and we recommend purchasing a second 4GB RAM module to increase the HP 15-BA009DX’s performance. While some budget friendly laptops feature tiny 32GB solid state drives, the HP 15-BA009DX comes standard with a 500GB mechanical hard drive. While this drive offers vastly more storage space, it will mean slower Windows boot and application launch times. Some users have mentioned the fact that the trackpad may not always be super responsive, we do recommend using a mouse while you play any games. Running older titles and even some newer titles on lower settings and a lower resolution has never been easier with Acer’s Aspire E 15 E5-575-33BM. It not only features the latest Intel Kaby Lake processor, it also features next generation connectivity such as USB 3.1 Type-C and Bluetooth 4.1. Powered by a 7th generation Intel Core i3-7100U processor and 4GB of DDR4 RAM, the Acer Aspire E 15 E5-575-33BM will easily cope with basic tasks such as video streaming, web browsing and word processing. But the 4GB of RAM will struggle with more hardware intensive apps. Luckily, Acer has fitted the laptop with an access panel that makes upgrading the RAM a whole lot easier. If you are on a tight budget then we recommend installing a second 4GB RAM module, but if your budget is slightly larger, we recommend installing two 8GB RAM modules for a total of 16GB of RAM. While many sub $500 laptops are still being offered with entry-level 1366 x 768 display panels, the Acer Aspire E 15 E5-575-33BM comes with a Full-HD display. The 1920 x 1080 display offers great image quality and with Acer’s ColorBlast technology, you get more than twice the as many colors as with other budget laptops. If you spend long hours working on your laptop, then Acer’s Bluelight Shield feature will help to reduce eye strain by reducing the amount of blue light that is emitted from the display. The Acer Aspire E 15 E5-575-33BM features a standard 1TB hard drive, which offers ample storage space for all of your files, your music collection and years of photos. However, these budget storage drives are quite slow in comparison to modern solid state drives. You can replace it with an affordable solid state drive, however this will mean sacrificing storage space for speed as a similar size SSD will cost as much as the laptop. Overall the Acer Aspire E 15 E5-575-33BM is packed for of great features that you would expect from more expensive laptops, giving it a great price to performance ratio. 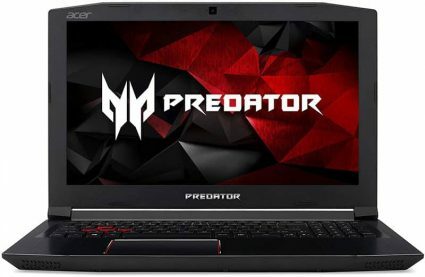 Acer are known in the gaming world for their Predator line of gaming hardware, however, most of their Predator laptops have been priced out of reach for many gamers. This is where Acer have stepped in and taken note of the current trend of gaming laptops at around the $1000 mark. The Acer Predator Helios 300 joins the Predator range as a more affordable solution, however, Acer have had to make a few sacrifices in order to offer its attractive price. The first thing that should be noted is that the display is dimmer than some of its counterparts and it doesn’t reproduce as many colors as the higher-end Predator laptops. However, the display is not all bad news, as you do get a Full-HD display panel which uses IPS technology for far better viewing angles and the quality is not terrible for gaming and streaming media. You can always connect the Acer Predator Helios 300 to a monitor if you need a wider coverage of the sRGB color spectrum for work or college assignments. The Acer Predator Helios 300 is powered by a Kaby Lake Intel Core i7-7700HQ processor and is backed up by 16GB of DDR4 RAM. This will easily allow you to play your favorite games and will ensure that you can run even more intensive applications will little to no lag. While many of its competitors offer the GTX 1050 or GTX 1050 Ti, Acer have gone ahead and fitted the Acer Predator Helios 300 with an NVIDIA GeForce GTX 1060. This card offers better performance for AAA gaming titles and is more suited for VR gaming than the two entry-level NVIDIA graphics cards. The 256GB M.2 SSD offers fast boot and game loading speeds, however it is a bit small for modern games. Titles such as GTA V and Mass Effect: Andromeda take up over 40GB each for their game install files. Luckily, the Acer Predator Helios 300 ships with the cradle for a SATA based storage drive and you can easily install a 512GB or 1TB SSD at home. If the SSDs are out of your price bracket, then you can also consider a good 7200rpm SATA storage drive to increase the laptop’s storage. However, this will mean losing the fast gaming loading advantage that SSDs provide. While the Acer Predator Helios 300 runs cool during everyday use, it will run hot while gaming or while you run more intensive applications. While this might put off some users, it is not at all uncommon for laptops in its price category and is not a deal breaker in our eyes. In today’s tough economy many users find themselves in a financial dilemma when looking for a personal computer. We know times are tough and that every dollar counts. 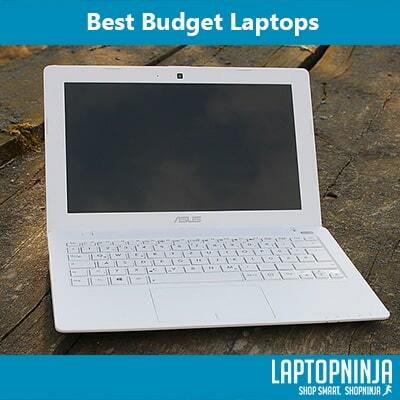 Luckily we have a great team of frugal technophiles scouring the Internet for a bargain and have put together a list of the best affordable budget conscious laptops available this year. A good low cost laptop should handle basic tasks like emails, Skype calls, multimedia and Internet browsing while not costing a small fortune. Should you be stuck in deciding which machine would best suit you or just looking for a great deal look no further, this guide is certain to help you find the perfect laptop for your budget. If you are looking for a budget friendly laptop that ticks all the boxes, then the Acer Aspire E 15 E5-575-33BM is well worth a closer look. It not only features the latest Intel Kaby Lake processor, it also features next generation connectivity such as USB 3.1 Type-C and Bluetooth 4.1. Powered by a 7th generation Intel Core i3-7100U processor and 4GB of DDR4 RAM, the Acer Aspire E 15 E5-575-33BM will easily cope with basic tasks such as video streaming, web browsing and word processing. But the 4GB of RAM will struggle with more hardware intensive apps. Luckily, Acer has fitted the laptop with an access panel that makes upgrading the RAM a whole lot easier. If you are on a tight budget then we recommend installing a second 4GB RAM module, but if your budget is slightly larger, we recommend installing two 8GB RAM modules for a total of 16GB of RAM. While many sub $500 laptops are still being offered with entry-level 1366 x 768 display panels, the Acer Aspire E 15 E5-575-33BM comes with a Full-HD display. The 1920 x 1080 display offers great image quality and with Acer’s ColorBlast technology, you get more than twice the as many colors as with other budget laptops. If you spend long hours working on your laptop, then Acer’s Bluelight Shield feature will help to reduce eye strain by reducing the amount of blue light that is emitted from the display. The Acer Aspire E 15 E5-575-33BM features a standard 1TB hard drive, which offers ample storage space for all of your files, your music collection and years of photos. However, these budget storage drives are quite slow in comparison to modern solid state drives. You can replace it with an affordable solid state drive, however this will mean sacrificing storage space for speed as a similar size SSD will cost as much as the laptop. 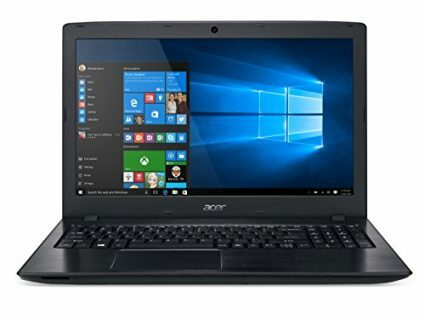 Overall the Acer Aspire E 15 E5-575-33BM is packed for of great features that you would expect from more expensive laptops, giving it a great price to performance ratio. 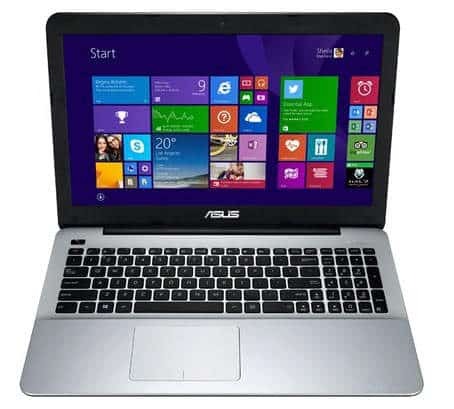 In the Internet age, sleek, small netbook-type laptops are becoming more and more commonplace. 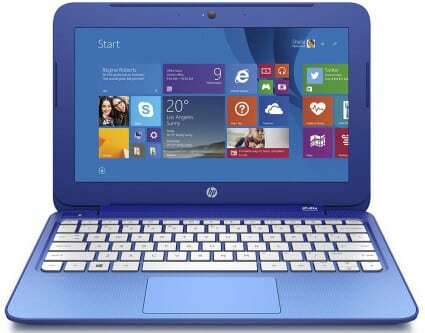 The HP 14-AX040WM 14-inch is another addition to this growing trend. Weighing in at only 5 pounds, it is lightweight and very portable. 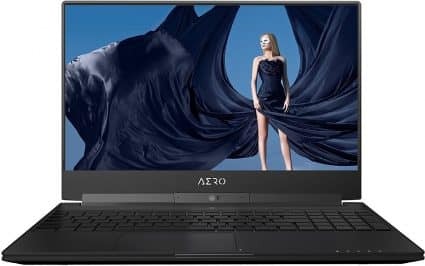 It comes with 4GB of RAM and an Intel Celeron N3060 Processor, both of which are entry level, offering middling performances and limiting your multitasking heavily. However, for the price, it does put up decent performance for what you get. 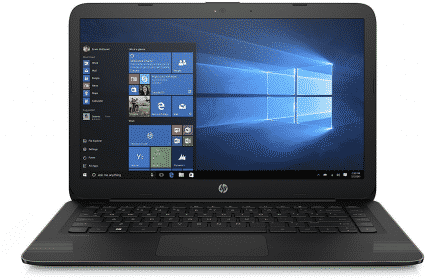 The 32GB of flash storage may seem disappointing, but the HP 14-AX040WM 14-inch is geared towards online use. You can easily use cloud storage if you find yourself out of space or you could just slip in an SD card and up the storage. The 14-inch display has a resolution of 1366×768, and the keyboard is a full size island-style keyboard. The battery life is said to be around 5 hours, which is average for these types of laptops, so you will need to remain near an outlet if you plan on using it for a full day at college. ChromeOS has come a long way since its humble beginnings in 2009 as an open-source project called the Chromium OS project. While still not a 100% replacement for a PC or Mac, a Chromebook is a fantastic tool especially if most of your computing needs lie in the web. Chromebooks are perfect for email, browsing and streaming media. Another plus is that Chromebooks are usually priced extremely well and have incredible battery life. If the thought of ChromeOS intrigues you, read on. 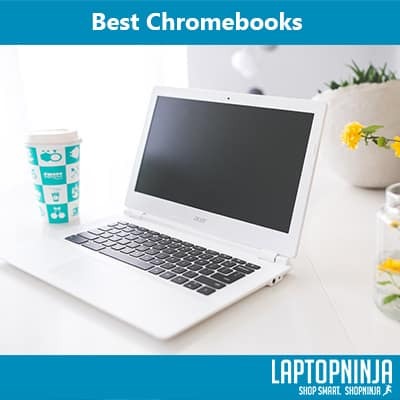 We have listed this years best Chromebooks in one easy place. The Chromebook Flip C302CA-DHM4 can switch between a laptop and a tablet, and it comes packed a with decent amount of power to drive a commendable overall experience thanks to its solid state memory and Intel Core M3 processor. The included 4GB of RAM should be more than enough for most, although I wouldn’t go crazy with how many apps you have open when multitasking. With 64GB of solid state memory, you will have plenty of room for a lot of files, and it is upgradable to 256GB if necessary. Chrome OS does make use of cloud based storage mostly, so storage should not be that much of an issue. The included screen is Full-HD, with a resolution of 1920×1080. While it’s not 4K, it’s more than enough resolution to give you a beautiful picture while using your Chromebook. 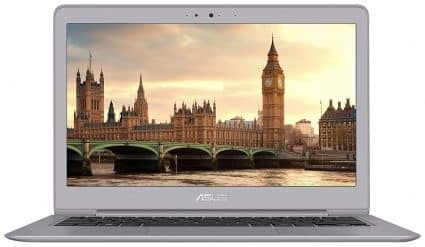 It is lightweight, highly portable, and coupled with its robust design, you get a laptop suited to students or businessman who constantly travel. Let’s face it, not everyone needs the most expensive, ultra powerful laptop. In fact, these types of laptops are designed for a certain group of users that prefer to play games or perform tasks that require the fastest processors and the most memory. For most users, there is simply no need for that kind of power. Luckily, there are many different types of laptops designed for all types of users and many of these are much more affordable compared to the premium, overpowered laptops designed for the heaviest of tasks. If you are shopping on a tight budget, you may think that it will be almost impossible to find a laptop that will meet your needs without it costing a fortune. However, today’s laptop world is much different from the early days, with many different laptop choices available that are designed with budget users in mind. Before we can take a look at exactly what you should be looking for in a laptop, we first need to address exactly what a mainstream laptop is. Today, there are many different types of laptops including Windows laptops, Apple Mac laptops, Netbooks, Convertible Laptops/Tablets, Chromebooks, and the list goes on. While all of these different types of devices have their place and can serve you well, it is hard to escape the need for a mainstream laptop. A mainstream laptop is one that runs a more traditional operating system such as Microsoft Windows or Apple’s Mac OS X. All of the other types of devices often run different operating systems such as Android or ChromeOS, and these systems, while powerful, simply do not provide the traditional desktop or laptop experience that you often need to accomplish your goals. 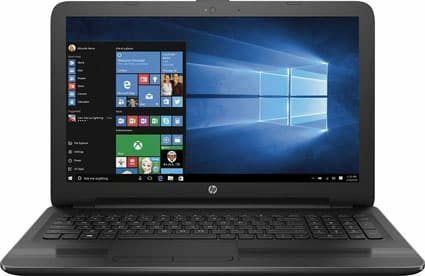 For the purpose of this article, we will be assuming you are in search of a budget laptop that provides you with a traditional computing experiencing and we will be looking at specs you should consider from a mainstream budget laptop, as these laptops will provide you with the traditional and familiar experience that users expect from their laptops. What Are the Limitations of Budget Laptops? While you may be able to pick these laptops up for a price that is considerably lower than many laptops you see on the market, that doesn’t mean they won’t be able to fulfill your needs. In fact, most users will find that these budget priced laptops are more than they will ever actually need from their laptop. All of these types of use require only minimal processing power and they just don’t need the amount of memory to run efficiently compared to high end applications or games. So, if this is how you mainly use your laptop, you should consider one of the budget laptops so you don’t spend too much for something you just won’t use. What Tasks Are Budget Computers Not Suited For? While a budget computer will be more than enough for most tasks and users, there are situations where they are simply not powerful enough to satisfy the needs of users. Gaming – While some lighter games may run on budget laptop, serious high end video gaming requires a dedicated video card, a faster processor and more memory in order to play games at reasonable settings and some won’t even run without them. Professional Workstations – Professionals that need a portable workstation that is fast and reliable or need a machine that will handle more heavy duty apps won’t find the best experience with budget laptops. These users will need the power to run their heavy applications that only a higher end machine will provide. 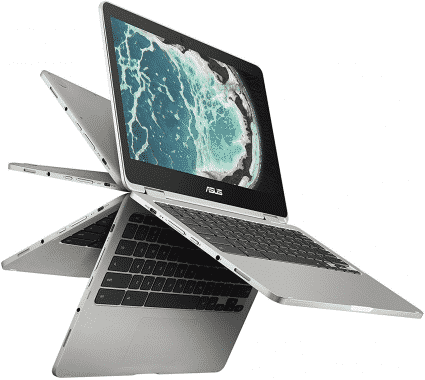 Ultra Portability – Budget laptops are not designed to be extra light or thin and are often not made of the sturdiest materials. This means that they will be heavier and more fragile than their higher end big brothers. While you can take them with you wherever you go, you will find them more difficult to carry and more easily damaged than more expensive laptops. We have all seen those high end laptops with the sleek and stylish design. They are ultra thin and sometimes even made of high quality aluminum giving them a premium look. When buying a budget laptop, you will have to pretty much forget those types of design. That’s alright, though. Most budget laptops are made from plastic and won’t be as thin or as sleek looking as the high end laptops, but that doesn’t mean they are necessarily made cheaply. Examine the case closely and, if you can, have a look at the laptop and touch it to make sure it feels sturdy. The goal is to find one that looks good and has a sturdy design so you know it will last. Believe me, they do exist. Some of these will even hold up better than many high end laptops over the long haul. With so many different processors to choose from, it can be hard to figure out which one you should buy. AMD chips are not as fast or power efficient compared to the Intel line but are much cheaper allowing you to buy more laptop for your money. The Intel chips are faster and often get better battery life than the AMD version although they do cost more. 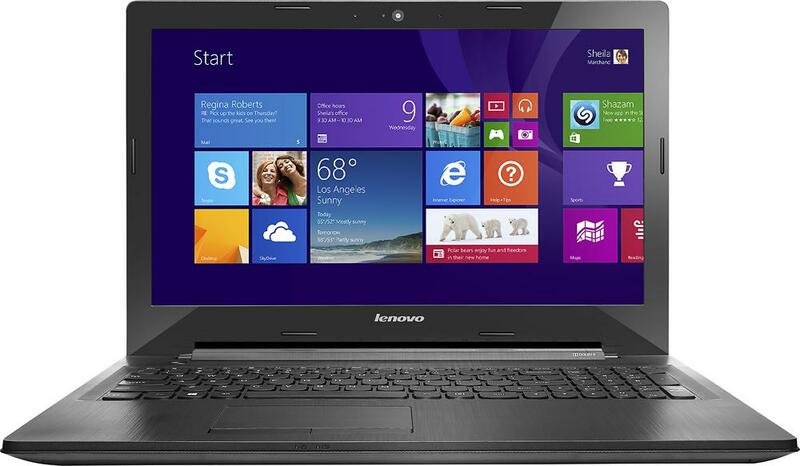 Ideally, you should look for a fourth generation Intel i3 or i5 when shopping for a budget laptop. The i5 chips are harder to find as they are more powerful, but you can often find a good sale if you shop carefully allowing you to pick up more processor for your money. The age old question of how much memory you need still rages today, and when you are shopping for a budget computer, you will find a wide range of memory choices ranging from 2 GB in very inexpensive models all the way up to 6 or 8 GB. Remember, your machine won’t be running any high end applications or engaging in serious gaming, so you won’t need as much as a high end user. Still, if you want to multitask your basic applications, the more the better. I would recommend looking for a laptop with a minimum of 4 GB, but if you can find one with more and it is in your price range, grab it as the more you have the better off you will be. Laptops come in a wide range of sizes today. In the past, the larger the monitor, the more expensive the laptop. This isn’t really the case today, however. Laptops today can be purchases as small as 10 or 11 inches and go up to 17 or even 18 inches with the average being 15.6 inches. Choose the size that best suits how you plan to use your laptop while weighing the cost at the same time. Once you have chosen the screen size, you need to look at the resolution. The resolution is how many pixels are displayed on your screen at a time. This can range today from 720p to 4K resolution with the average being somewhere in the neighborhood of 1366×768. Remember, the more pixels you have, the better the image will look. But the more you have the more expensive the price. Choose which resolution best fits your usage before you make that purchase. Premium laptops often ship with their very own dedicated video cards that do nothing accept process the graphics that appear on the screen. These are often made by NVIDIA or ATI. However, you will be hard pressed to find a budget laptop that comes with its own video card, unless you find an older model that has been put on clearance. In most cases you will find that most laptops come with Intel HD Graphics or the Radeon R5 graphics. These chips share memory with your RAM and do not perform as well as dedicated graphics cards with their own memory banks. Still, in many cases the latest versions of these chips will handle the processing of graphics pretty well and will handle it beautifully when you aren’t trying to run a game. However, gaming is better suited to dedicated graphics processors. Although, the latest versions of the Intel and Radeon chips will allow you to run older games at half way decent settings so if you do like the odd distraction here and there, they may just do the job for you. Don’t expect a budget machine to be a gaming powerhouse, however, as they are designed mainly for everyday basic use and not for high end gaming. Once you have found the computer that meets all your hardware requirements, you need to take a look at the software. First, look at what operating system comes with the laptop. These days most come with Windows 8.1 but once Microsoft releases Windows 10, you can expect it to appear on budget laptops and premium laptops alike. Microsoft Windows is still king of the laptop world, so chances are whatever budget machine you choose, it will come with Windows installed. You may be tempted to buy a Mac. While they are great machines, the budget model for the Mac laptop checks in at a much higher price compared to other budget models. Essentially, when you buy a Mac, you are paying for their design and Mac OS X. If you don’t have to have it, you can save quite a bit of money by choosing a Windows based machine. There are some budget machines that actually come with Ubuntu Linux as the operating system instead of Windows. Not including Windows allows manufacturers to sell the laptop for a much lower price as Ubuntu is a free operating system. While it is safe and secure, if you are not very tech savvy you will want to avoid buying one of these as Linux is very different from Windows and could make it more difficult for you to use effectively. Finally, you need to look at what other pieces of software come with your laptop. If you are a smart and savvy shopper, you could find even find a laptop that comes with Microsoft Office or other productivity suites that will make your transition that much easier. With all of these different options available, it can be difficult to figure out which laptop is right for you. To help you sort through all of the different options, you can visit our Cheap Laptops page to find our top picks or look through our laptop recommendations to help you find the laptop that is right for you. As a general purpose user you may be looking for an all-round home laptop for work, watching movies and browsing the web. On the other side of the coin, you may be a business professional looking for a reliable and ultraportable laptop that you can take with to meetings that will give off a professional image without weighing you down on the move. Every user will have their own special considerations that need to be addressed, including areas such as connectivity and design. Students usually only require a laptop with basic hardware and don’t require the bells and whistles found on most high-end laptops. Depending on whether you plan on taking your laptop to class with you every day portability is another prime concern. Chromebooks are a viable option for students who do almost all of their work online and don’t mind leaving Windows behind. Windows netbooks and 13-inch tablet/laptop hybrids are also popular options. Lookout for a minimum of 4GB or more of RAM if you are using Windows to prevent sluggish performance when multitasking. Students using their laptops every day at school will also want to pay careful attention to weight and battery life which can severely affect your laptops overall portability and will probably want to avoid a full-size 15-Inch laptops in favor of something smaller. For those of us lucky to have a work laptop to use in the office or the ability to work remotely from home design and portability may not factor as much into your buying decision. Home users will generally be more focused on hardware power and display quality than portability, although your laptops design will still play a major role regardless. You might want to move around the house and use your laptop off charge so battery life can be equally important. That said, you won’t need to sacrifice in screen real estate and can safely go for a 15 or even 17 Inch laptop as opposed to their 11 or 13 inch counterparts. If you don’t have an external monitor or TV and plan on using your laptop for watching movies and other media then a larger display and good quality speakers are paramount. If you’re planning on using your laptop mostly at home for handling all of your movies, music and other media then portability won’t be your biggest concern which means you are free to focus on areas such as screen quality and laptop audio. Unless you have an external monitor or TV lying around you may also want to explore some 17-inch options where possible. Look for a laptop with a 1 TB hard drive if possible, or at a minimum 500GB, and as noted above 4GB of RAM or more as requirement for smooth performance with HD video playback and other tasks. Choosing a laptop is one of the most important decisions you will make. Once you have made your choice, remember you will be stuck with that computer until you are ready to invest more money into a new one. That is why you must do your homework first so you are sure that you don’t make the wrong decision. Keep in mind that most users simply don’t need the latest and greatest hardware to accomplish the tasks they need to do on their laptops. In most cases, you can get by with a much more affordable laptop to handle the workload for you. If you are shopping on a budget, you will want to get the best bang for your buck so you are happy with your laptop even if you don’t have over a grand to invest. In order to do that, you will need to do your homework. Luckily, understanding how the different hardware impacts your laptop in both performance and cost is a great first step. You can also look to our guides to help you find the best laptop for you regardless of your budget. Budget laptops are great tools for most every day users looking to spend some time on social media sites, surf the web and even create documents and perform light work. However, they are not suited for high end users that enjoy video editing, music composition, or video gaming. Look at your usage closely before making your decision and refer to our guides here at LaptopNinja to find the best laptop for you, be it budget or premium.